In a fast-changing global landscape, Morocco is betting on multiplying trade and political partnerships to reach its development and strategic goals. 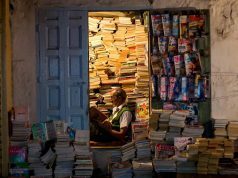 Rabat – At a time when Africa is increasingly under the spotlight, India is eager to join the cohort of technologically-savvy countries hoping to reap the benefits of Africa’s enormous investment opportunities. 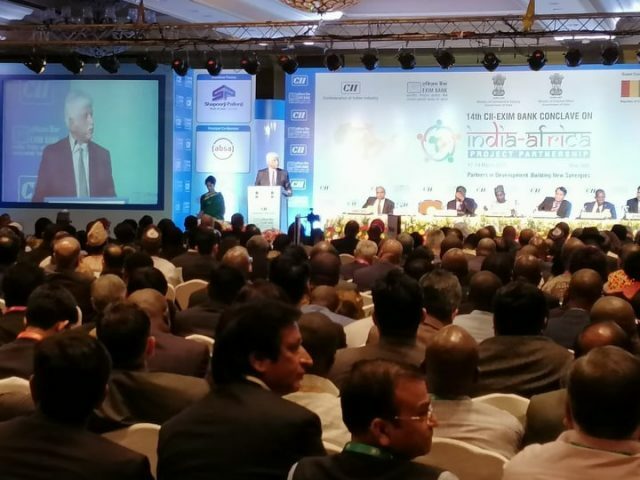 From March 17-19, delegations from 21 African countries convened in New Delhi, India, to celebrate growing Indo-African ties at the 14th CII-Exim Bank Conclave on India. Among the African delegates present at the conclave, there appeared to be resounding agreement on the need to channel India’s comparative advantages in the automotive, solar energy, aeronautics, and banking sectors. The hope is to stimulate inclusive growth, meet the requirements of sustainable development, and “increase the added value” of individual African countries, according to Morocco’s investment and industry minister Moulay Hafid Elalamy, who led the Moroccan delegation. In an interview with Morocco World News after his speech at the opening ceremony of the conclave, Elalamy stressed the necessity of facilitating dialogue and cooperation between Indian and African private sectors to drive investments up and achieve the expertise level required to rise up to development challenges continentally and nationally. But the event also follows in the footsteps of the October 2015 India-Africa Forum, when India laid the groundwork for its African foreign policy, setting out to consolidate its presence in African trade, manufacture, diplomatic, and financial ecosystems. Speaking in the opening ceremony of the CII-Exim Bank Conclave, India’s commerce and industry minister Suresh Prabhakar Prabhu emphasized Africa’s importance in terms of investment opportunities for Indian public and private sectors. Prabhu suggested that the Indo-African platform’s main goal is to consolidate the new India-Africa impetus by basing it on historic socio-political and historical closeness. The Indian minister’s allusion, as other African and Indian delegates went on to argue on the opening day of the conclave, is to the fundamental role India played as both a trade partner and a provider of human resource trainers in the first years of African decolonization. In the new configuration of Indo-African relations, New Delhi seeks to put economic diplomacy at the forefront of the framework for the shared future between African and Indian change makers. 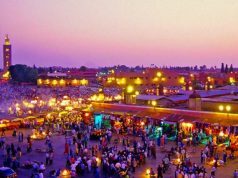 As India increasingly focuses its gaze on Africa, Morocco is the necessary link between India and Africa, according to Morocco’s Elalamy. Morocco, whose financial, banking, and industrial giants are making significant forays in the African geopolitical landscape, has been recently touted as an indispensable player in the emerging African order. 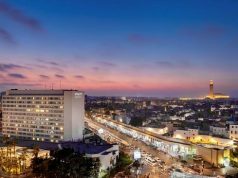 But more than a player confined to the riches of African markets, Rabat seeks to capitalize its growing African assertiveness to lay the foundations of its aspirations on the world stage. In his speech at the conclave, Elalamy made abundant mention of Morocco’s efforts in industrial ventures. From the aeronautics to automotive sectors, Rabat is rejuvenating its industrial sector to be a “true production and exportation platform,” in addition to the “African investment hub” it already is. 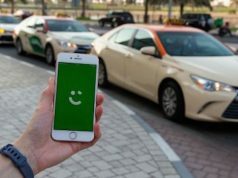 With “well trained people,” Elalamy insisted, Morocco and the rest of Africa are showing their eagerness to be part of global dialogues on development. Not content with being mere markets for giants like the EU, China, and India, the continent wants to position itself as a producer. What about potential conflicting interests? Elalamy’s points read like a textbook summary of Morocco’s trade and diplomatic approach in recent years. The vision is one of “multifaceted and pragmatic” foreign policy based on multiplying partnerships to materialize different ambitions, from the Green Morocco Plan to the Industrial Acceleration Plan. As far as Morocco is concerned, the answer to global crises and individual national challenges resides in the practice of diplomatic versatility. But while the approach prioritizes dialogue and soft diplomacy and is commended in many policy circles, it is far from being a bed of roses. In the India-Africa context, one challenge to Morocco’s versatile diplomacy is the subtle—but increasingly overt—rivalry between India and China. “If it weren’t for China, Africa’s largest trading partner would be India,” one observer remarked in August last year as China prepared to host its now famous China-Africa summit. For both Asian countries, the article argued, “Africa can no longer be viewed as an intermittent and peripheral interest.” Rather, with its numerous resources and green investment pastures, the continent is now part of the global scramble for geostrategic dominance. The question, for a country like Morocco, also a front-bench partner in China’s “the Belt and Road Initiative,” resides in finding a balance between two partners with competing interests. 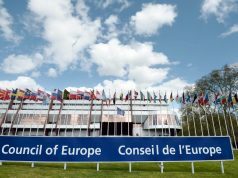 Speaking to Morocco World News, Elalamy suggested that such binary conceptions do no good for multilateral cooperation. In his reckoning, Morocco is open to any partnerships that have the potential of propelling it towards sustainable and inclusive development. “Morocco has free trade agreement with as many as sixty countries. This has allowed us to position ourselves as an indispensable African platform for investments, production, and exportation opportunities,” he told MWN. He then explained that the conclave is particularly important because “we met with high caliber Indian investors and business owners to discuss investment possibilities in Morocco.” The Moroccan minister did not overtly state what Morocco wants from its perceived trade versatility. He did not have to. 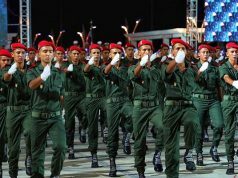 But based on Morocco’s increased engagement on multiple fronts, it is obvious the North African country is navigating the complex African and global waters to assert itself as an indispensable guest at the world table.